How would you like to generate innovative product ideas? Listen as Marcy Nelson-Garrison shares her creative product development expertise and wisdom. Creative and innovative product ideas expert, Marcy Nelson-Garrison is a product mentor, certified professional Co-active coach, licensed psychologist, a visual artist, and the founder of the Coaching Toys online store. 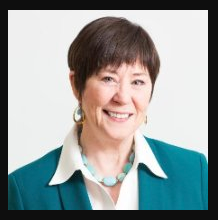 Coaching since 1999, Marcy brings her extensive product knowledge, passion for creativity to help authors, and other professionals create products, and programs that transform lives. She believes in the power of innovative product ideas to expand your message, to have more impact to generate more revenue. Q: Tell us what authors need to know to take their book, and maximize its content. A: First of all, I’m assuming most of the people listening today to this podcast have a book written or maybe on their way, so I just want to say congratulations. That is not a small accomplishment. What that means is that you’ve got something to say and you’ve got some wisdom to share and books are a powerful way to get it out. The exciting news is that’s only the beginning, and you know this too, Susan. There are lots of ways to share your message, so we’re going to talk a little bit about what else is possible. Q: A book is a gold mine for all sorts of products, so how can we delve into creating those products? Where do we start? Somebody who has no clue and just sees the book as a book, where would they start looking for ideas?